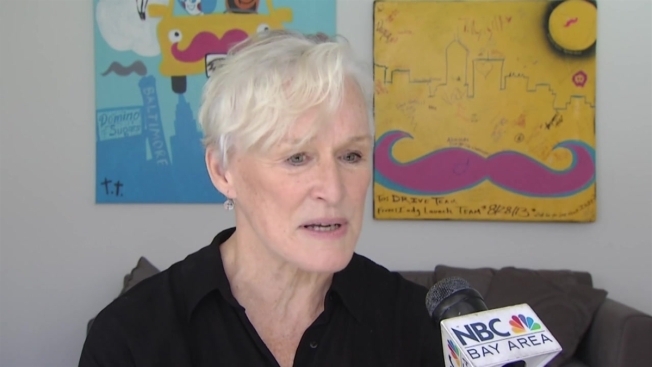 Mental illness is having a crippling effect on teens throughout Northern California, but with support from actress Glenn Close, a student-led program is raising awareness about the issue while simultaneously fighting against the stigma. The second annual Bring Change to Mind summit is providing students with the opportunity to start a conversation about mental illness and teaching students how to bring their knowledge of the issue to their own schools. “Our basic message is, talk about it, start the conversation,” said Close about the summit. Each student participating in the summit is a member of Bring Change to Mind's High School Program, which is designed to create a stigma-free environment. Several students involved in the summit, including Kayla Kitchen, have been affected by mental illness issues. Kayla suffered from mental illness years before receiving a proper diagnosis, but thanks to group therapy, battling the stigma helped changed her perspective. Close, who experienced the effects of mental illness in her family, believes that it’s important for all teens to understand that they’re not alone. “I started Bring Change to Mind because my sister has bipolar disorder and her son has a psycho effective disorder,” said Close. Several of the summit’s organizers reached out to Close for inspiration and guidance toward a safer stigma-free environment. Since last year, the summit has grown from having 150 students attend to 270 this year. According to Close, a pilot program is in the works and hopes that this summit can eventually be shared with the rest of the county.